After graduating from the University of Queensland in 1976, Dr Sandford completed his residency and physician training in Hobart before returning to Queensland to specialise in Gastroenterology at the Royal Brisbane Hospital. He then spent two years as a Hepatology Fellow at the University of Southern California and Los Angeles County Hospital prior to becoming a Visiting Gastroenterologist at Princess Alexandra Hospital in 1986. There he helped establish the Hepatitis Management Clinic and continued to work as a Visiting Gastroenterologist at PAH until 2009. 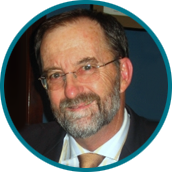 Dr Sandford served on the executive of the Gastroenterology Society of Queensland for 15 years and is a Past President of this Society. Dr Sandford undertakes procedures at Chermside Day Hospital, Brisbane Endoscopy Services at Sunnybank, Wesley and North West Private Hospitals. Dr Sandford is Chairperson of GastroIntestinal Endoscopy and Brisbane Endoscopy Services.